LA Galaxy striker Zlatan Ibrahimovic says he will not return to Europe in January. Reports have claimed the Swede could join a European club on a short-term loan deal while the MLS has their offseason. 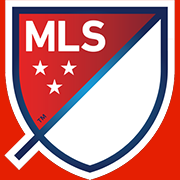 In the past many European stars have chosen to take loans from the MLS, including David Beckham and Robbie Keane. But 37-year-old Ibrahimovic will not be joining that list. "If I belong to Galaxy, I am a Galaxy player," Ibrahimovic said. "I don't go abroad and do these things - loan and this... I don't need that. "I mean if I belong to one club, I stay in one club. I focus on that club and I give all my attention to that club, so that is not in my mind." Ibrahimovic had been linked with moves to former clubs Manchester United and AC Milan.